The new Maltby Premium Golf Club Bending Machine sets a new standard for craftsmanship, ruggedness and performance. 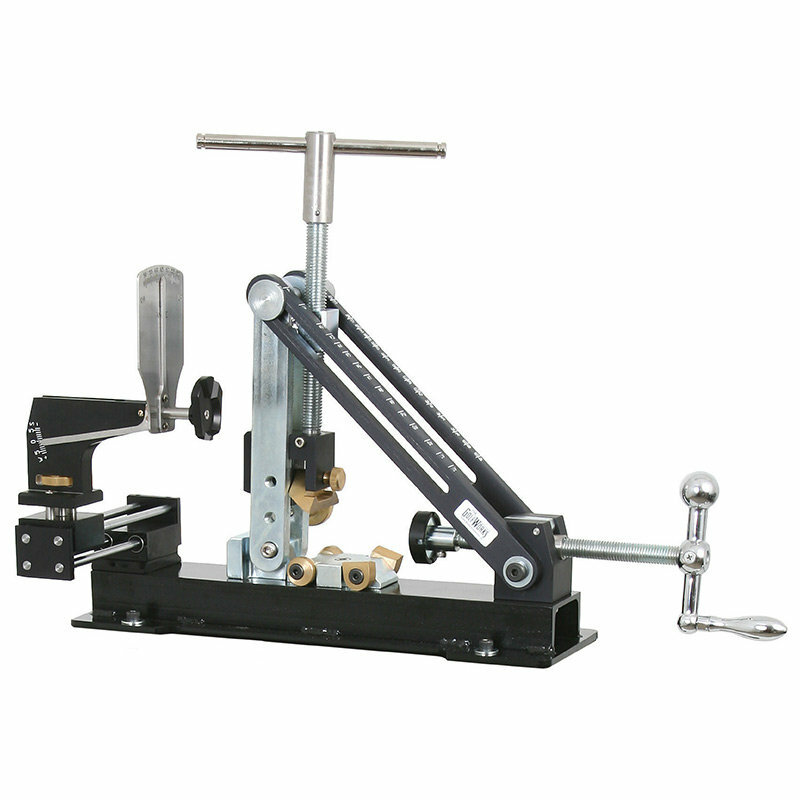 Manufactured from high grade steel and aluminum, this machine is extremely sturdy. Mounted to the Maltby Premium Heavy Duty floor stand, the user has full 360° access to the work at hand. The machines wide base also allows it to be mounted to a work bench without any loss of stability. The quick change top clamp mechanism allows you to change the top clamp in seconds to accommodate the bending of drivers, fairway woods, hybrids, irons or most putters. The multiple bases needed for stabilizing heads during the bending and measuring process can also be changed in seconds by using the wrench (provided) and loosening one bolt. All parts that come in contact with the clubhead are made of non-marring materials. The machines smooth, sliding loft setting mechanism allows you to position each club, from a putter through a driver, with ease, without having to remove a stabilizing pin. Once you are at the setting needed, one quick tightening turn and the setting is secure. The smooth sliding protractor assembly has an added feature of a height adjuster, allowing you to position the protractor for accurate measurements, no matter how long the hosel.